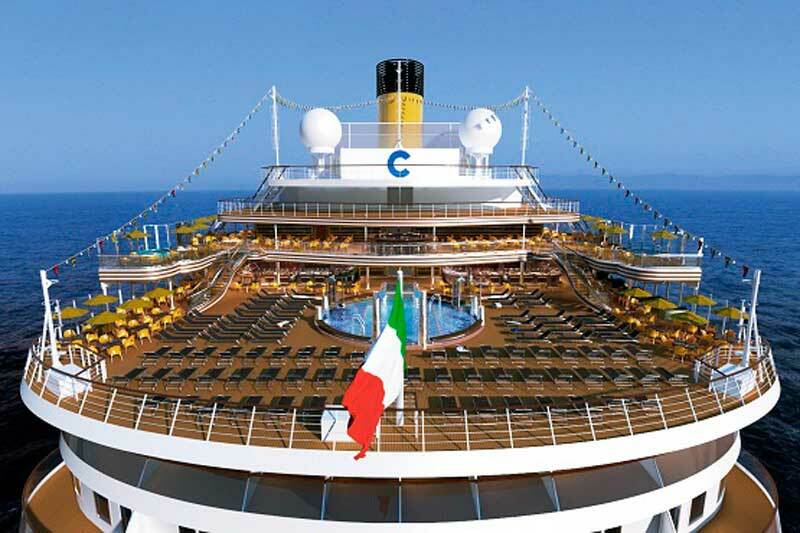 Costa Cruises has released some details about the cruise lines up coming cruise ship the Costa Diadema. The large cruise ship will be christened in Genoa, Italy on November 7th 2014. Genoa is the perfect destination for this as the Italian based cruise line as founded there and has offices in the city. The very first cruise will be a special preview cruise departing Trieste on November 1st 2014. The ship will then make calls at Dubrovnik, Corfu, Malta and Naples before ending in Genoa just in time for the new flagships christening on November 7th 2014. The day after the christening ceremony on November 8th Costa Diadema will depart on its inaugural cruise which will be the first of three. The cruises will be 7-day voyages and will make calls at Savona, Marseille, Barcelona, Palma de Mallorca, Naples and La Spezia. The three cruises will depart from Genoa on the 8th, 15th and 22nd of November. The ship is currently being built at the Fincantieri shipyard in Marghera, Venice and will be delivered to Costa Cruises by the Italian ship builder on October 30th 2014. Diadema is a 132,500 ton cruise ship and once it begins sailing will be carrying 4,947 passengers and 1,253 crew.